You are here: Home » Sunset cruises. More fun in the Philippines. Sunset cruises. More fun in the Philippines. What can we say? 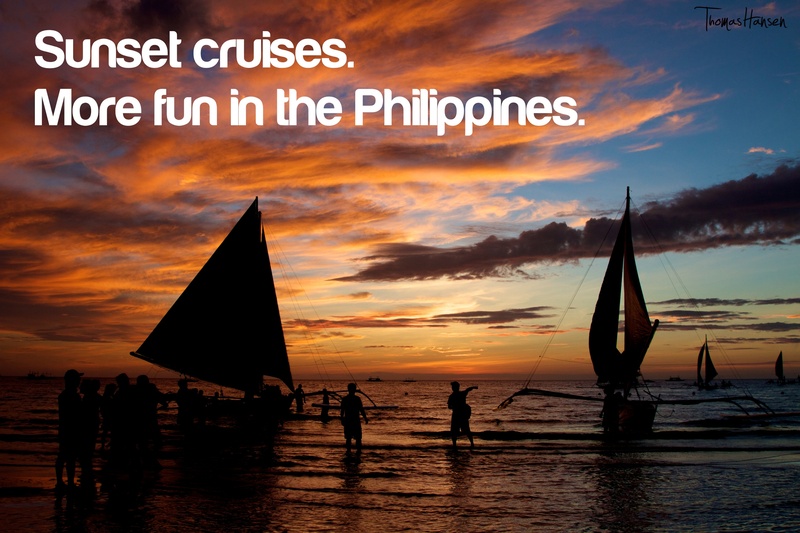 We totally got suckered into taking a sunset cruise on Boracay, and it was…AMAZING! Sailing on one of the iconic Boracay boats is definitely the touristy thing to do, so there was no avoiding the hawkers on the beach trying to collect as much money as possible for the first beautiful sunset in a week. Make sure you watch this one in 1080p!